I have been spending way too much time on the internet lately. Although I have gotten a lot of useful information and inspiration from some of the blogs I have been reading, I find that when I am interested in something I almost don’t know when to stop. That comes from having too much free time on my hands at the moment. If I am not blogging, I am reading blogs. I need to draw a line and it starts today. So, you will no longer see posts about my photo project A Moment in Time. Instead, I will be going out and taking a photograph, or two, or more, instead. You will no longer see posts about my latest decorating project. I will just be getting on with the decorating. I might post something when the whole job is completed. That is going to take a while, so don’t hold your breath for it. I want to learn how to use Photoshop Elements 8 and start watching the tutorials. I want to enter more photography competitions through my photography club. Being a better photographer and developing my creativity in this area is not going to happen if I spend too much time blogging or reading about what other people are doing. I might post an entry if I get top marks on something. I want to find a job. That won’t happen if I spend too much time reading blogs or blogging. There are so many things I want to do. I can’t do them if I spend all of my time on the computer. So, I am going to be minding my own business for a while and will not be posting as regularly as I have been. I would like to thank everyone for visiting my blog. Ta, ta for now! Here’s to a wonderfull 2011! A Moment in Time/Day 29: A bit of Privacy! If you read my previous post about my Living Room, you will know that I had hideous net curtains tacked to my new windows in order that I would have a bit of privacy. 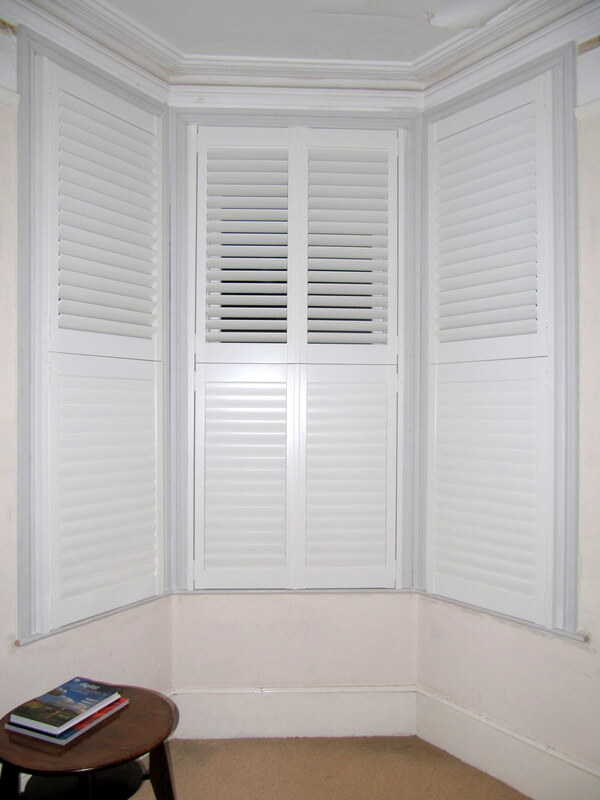 Well, today I had my plantation shutters installed! 🙂 I am ecstatic! I had uhm’d and ah’d about getting these. A couple of my neighbours have them and the guys next door showed me how theirs fit on their windows. They are not as perfect as I would like (I am really picky), but I am really happy with them. We modified them a little bit to fit my specifications. Apparently, the shutters normally fit into a frame that can protrude quite a bit from the window ledge making it seem as if there is a box stuck onto the window. Because I have no recesses on my windows, I had the fitters put the shutters onto side battens and got rid of the rest of the frame. I also have hidden rods so I can let more light into the room. For the rest of the house, I had shutters installed only on the bottom half of the windows, café style – even in the bathroom. Even though I have frosted glass in the bathroom (building codes require obscured glass in bathrooms and toilets), with the light on one can still be seen if one is close enough to the window. I learned that one day when the nanny was giving the children a bath and I was out in the garden! I can also have the window open in the summer and still have some privacy. Right now I am working in the dining room and the shutters are closed. The curtains frame them nicely and I don’t have an unattractive view of the side of my house (to be remedied this summer) – and the neighbours behind me can’t see in! I will take a photo once I manage to sell my dining room table and the room isn’t too cluttered. With the house being so close to the pavement, it is easy for others to see inside when passing by. I am nosy and love looking into other people’s homes, but it does freak me out a little bit to see someone slobbing around in their sitting room because they left the blinds or curtains open at night. I used to feel exposed if I wanted to watch a bit of TV in the evening and knowing people could see me. Now I can slob around as much as I like and no one can see me. I might try it tonight! 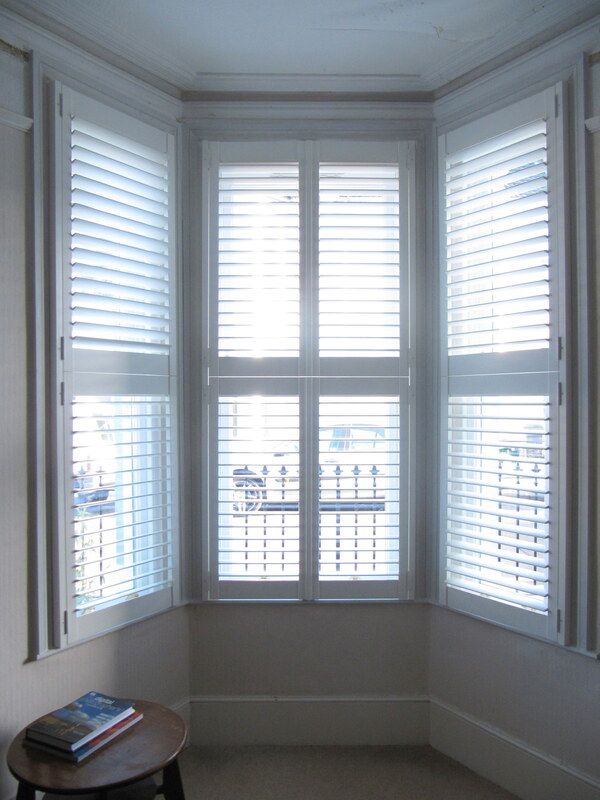 My shutters were installed by Blind Design in Eastbourne. They are really nice people! Thanks guys! 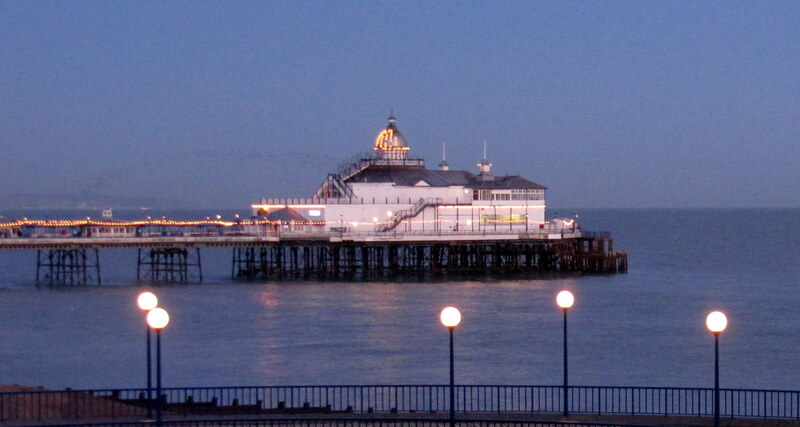 Probably not the best photo of The Eastbourne Pier, but will be one of many over the course of this year. 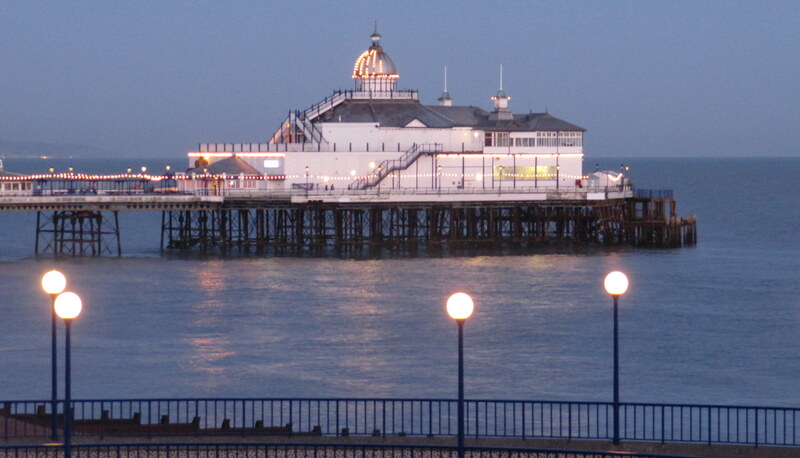 I just love The Pier! I have a clearer picture below. The reason I prefer the first photograph is because I noticed something after I cropped it and sharpened it up a little bit.